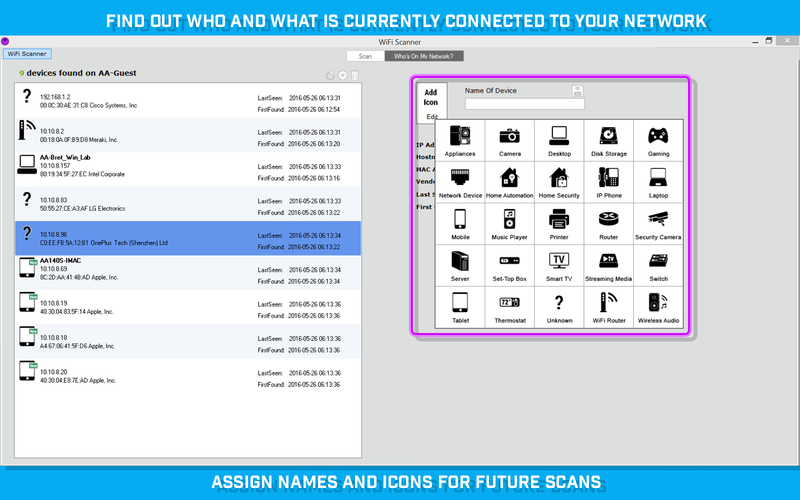 WiFi Scanner scans for surrounding networks and supplies vital WiFi information needed for troubleshooting purposes. Filtering options narrow the results in a high-occupancy area. Choose the networks you want to view by checking/unchecking them as you see fit. 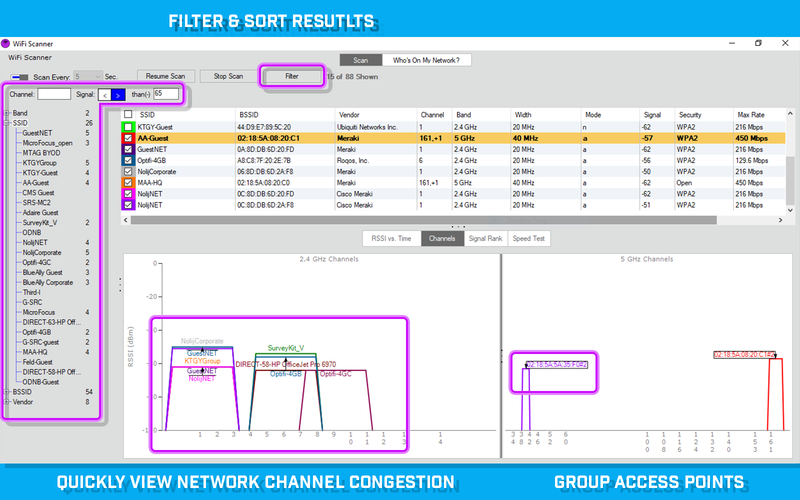 2.4 GHz and 5 GHz channel graphs allow you to see overlapping and overbearing signal interferences, which affect network performance. 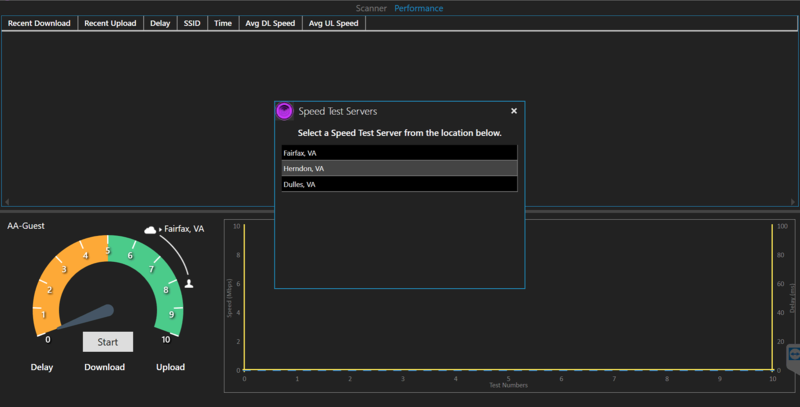 The Speed Test helps you keep track of your network speeds and performance. Walk to different areas of your network with a laptop to test download and upload speeds. 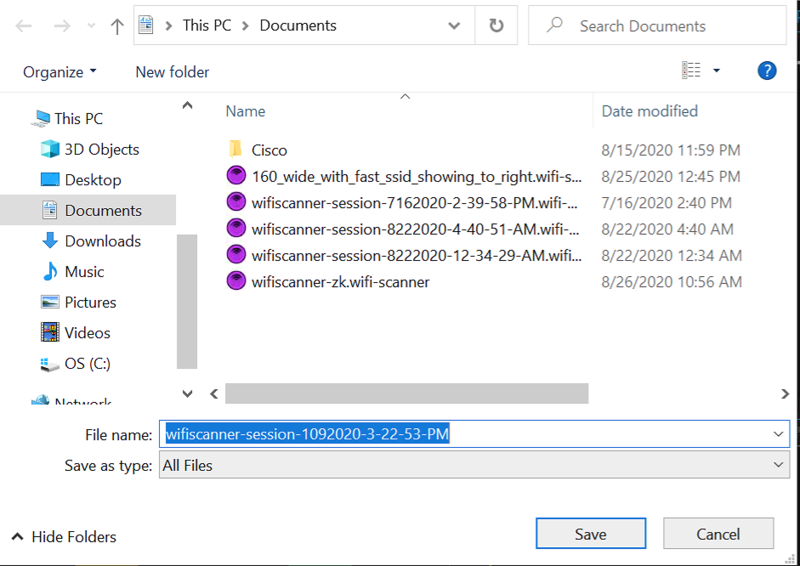 Save your scan sessions and import them later for future analysis or comparison. 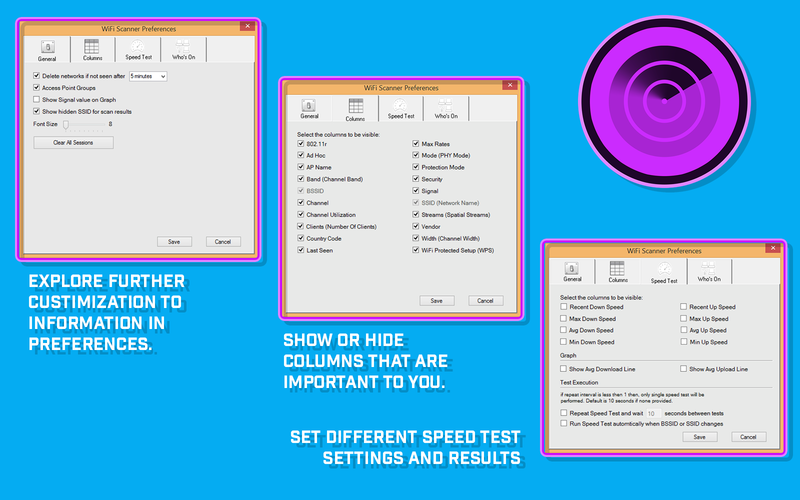 This is a great way to see how different scans can be at different times throughout the day. 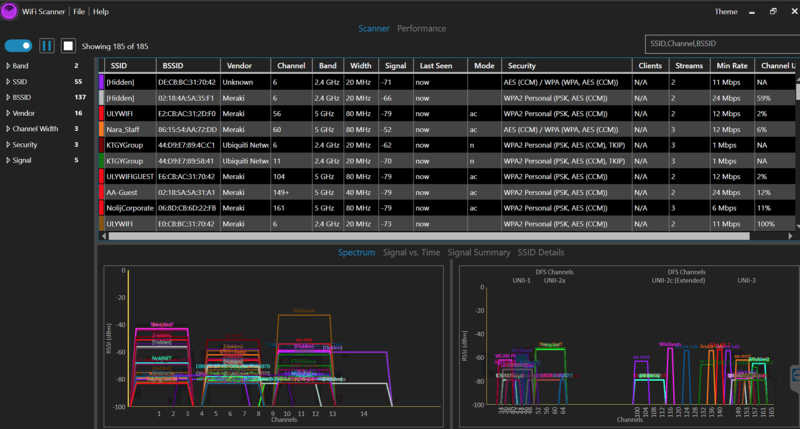 Simple, fast wireless network discovery of 802.11 a/b/g/n/ac access points. Use WiFi scanner to select the best configuration for your WiFi access point / router and optimize network speed. 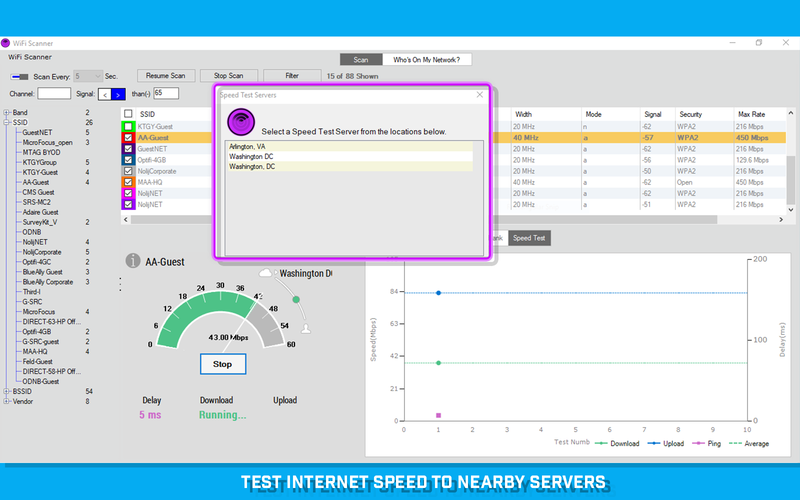 Also includes upload and download speed testing to quickly measure and analyze WiFi Internet performance problems. Using WiFi Scanner you’ll see nearby wireless access points and their details, including channels, signal levels (RSSI), noise, channel width, and MAC address, signal quality, maximum data rate, encryption, and much more. WiFi Scanner is great for determining the best position for an access point at home or in the office. After selecting the best position, the optimal channel to use can be determined by selecting the least used channel resulting in improved WiFi speeds. 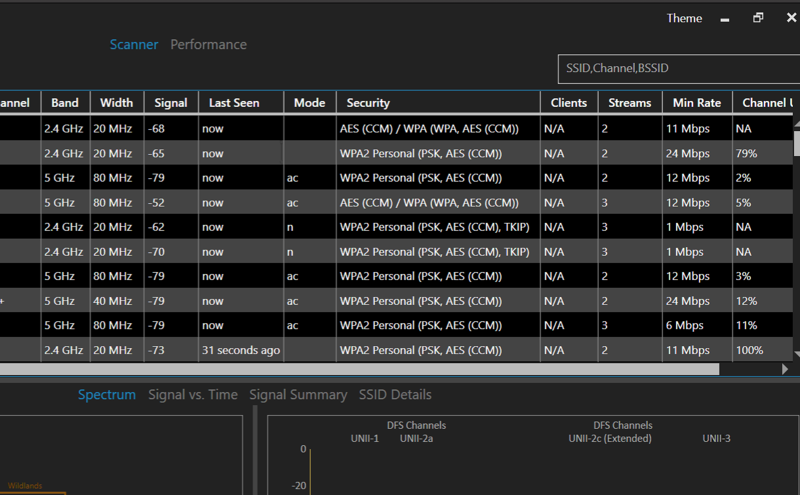 Simple, fast wireless network discovery of 802.11 a/b/g/n/ac access points. Display detailed wireless network parameters: network name (SSID), signal level (RSSI), MAC address (BSSID), signal quality, channel, maximum data rate, encryption, etc. Display changes in signal level over time in graphical form. Display wireless connection statistics in the form of graphs and tables. The name and logo for WiFi Scanner™ are trademarks of AccessAgility LLC. Copyright © 2019 AccessAgility LLC. All rights reserved.